Just for some info on some pain previous contributors of emby documented for public success! Did this on a C2. not surprising, really.... Microsoft barely acknowledges 64-bit for the .Net framework. # Add Mono Project GPG signing key. # Add Mono Project repositories. 13 upgraded, 248 newly installed, 0 to remove and 0 not upgraded. Need to get 77.7 MB of archives. After this operation, 264 MB of additional disk space will be used. @rhkean Interesting. Never used the Mono library before. Installed on RPi3 fine, but, wont play media. I need to do some digging. 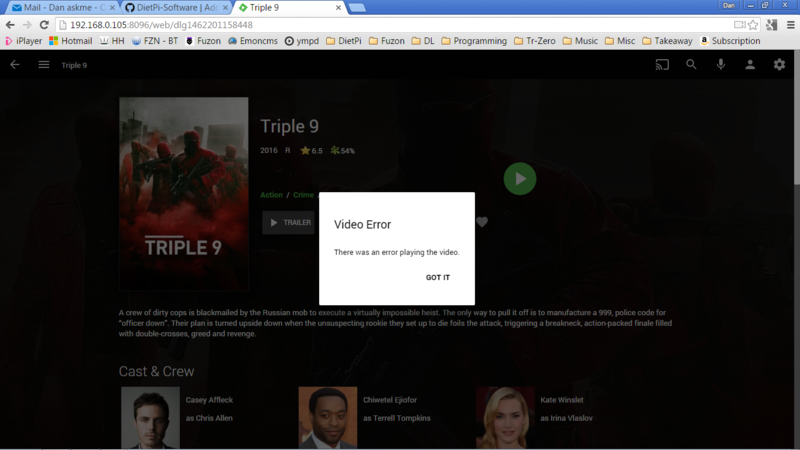 Aye, looks like users should only expect audio playback through emby on SBC's. Video transcoding cant keep up, feels like 10fps transcoding speed for 24fps media. Despite the hard work and my own with the while warnings of h264, etc... is emby looking a little "non DietPi-ish?" and more "for those brave userland individuals" ? I've added the basic install code in. 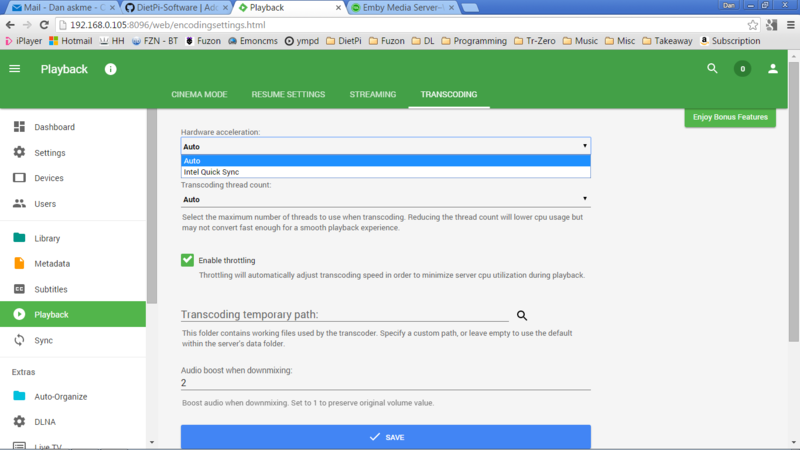 But for SBC you should expect audio streaming only. The VM's (depending on host spec) and possibly XU4 should run video transcoding fine. I'll see if we can also automate the initial Emby web setup for users, once I've finished off with the OrangePi PC image, although, I have this near uncontrollable urge to throw the OPi PC in the bin lol :). Depending on the automation web setup outcome, we can then re-evaluate Emby to see if we leave it in, disable it for specific devices, or take it out completely. Thanks, @Fourdee -- even if we can get that nudge, definitely worth the learning and DietAdmin experience. Looks like no ARM64 packages are currently being built by http://download.mono-project.com/ : http://download.mono-project.com/repo/debian/dists/. So we would need to build Mono ourselves.